A pilot project to encourage people to talk to local police has had a successful first run in Wandsworth. 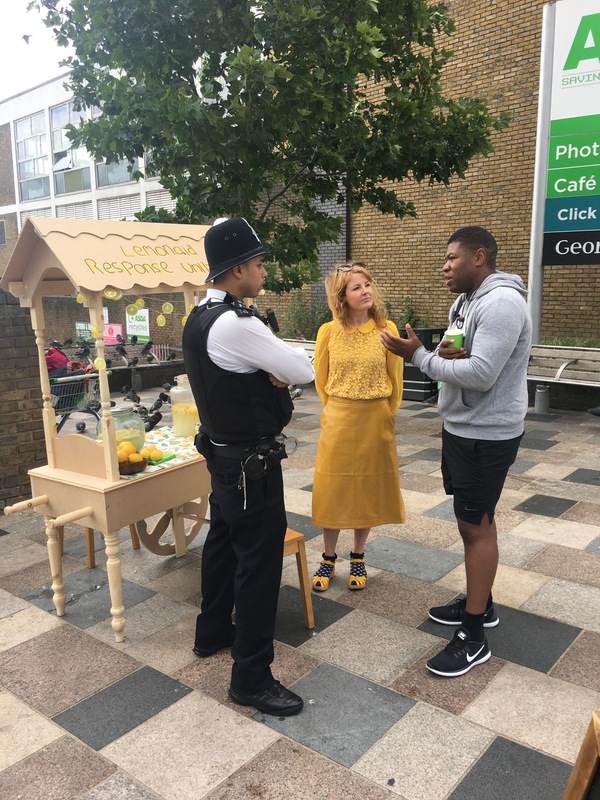 On Sunday, the Lemonaid stall served free lemonade to members of the public while giving them the chance to speak to a police officer about any matters or concerns they wished to raise. Victoria Melody, a 38-year-old artist and theatre maker from Brighton, was paired with PC Abdelatti Mahmoud as part of the Agents of Creative Change programme, run by Battersea Arts Centre. The programme asks third and public sector workers to come up with a challenge either in their workplace or community and work with an artist to find a solution. “I decorated the stand to make it look kitsch, fun and accessible, the opposite of a police uniform,” says Melody. PC Mahmoud was the police officer fielding all those questions on the day. He said: “This project gave people who normally would not engage with police an opportunity talk to an officer and find out that they are simply human beings who wear a uniform and have a difficult job to do. 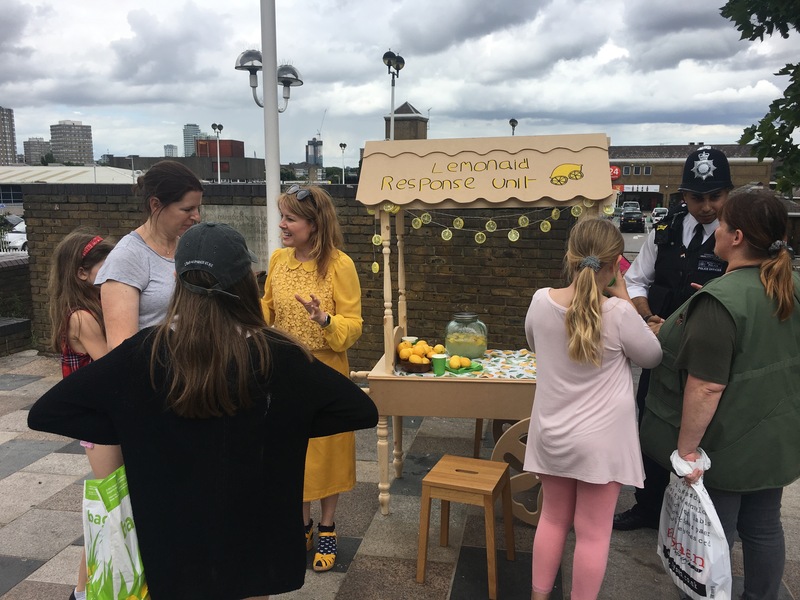 Following the success of the Wandsworth Lemonaid stall, the pair are looking for opportunities to expand their idea into other areas.